#Sackville Patriot Days! JUNE 25th – JULY 1st ! | Sack-Vegas!!!! The time is near! These are always fun days for our community. 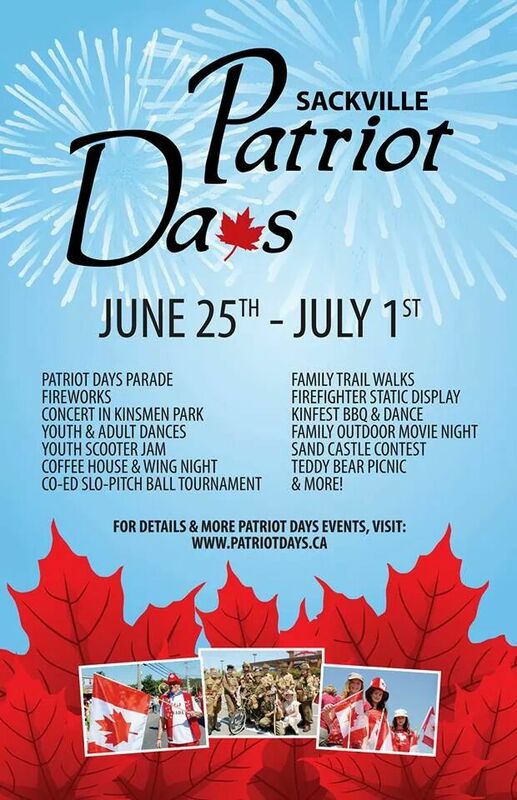 Check out WWW.PATRIOTDAYS.CA for more info! Posted by Sacky on June 8, 2014 in Community Events.